Finally, an anti-aging eye gel for everyone – even those with sensitive or intolerant skin. Formulated with potent-yet-gentle ingredients, this silky-soft emulsion provides remarkable results with absolutely no irritation. That’s why it’s one of our most popular products! The skin around eyes is the most delicate part of the face, which is why the first signs of aging appear in the eye area and eyelids. 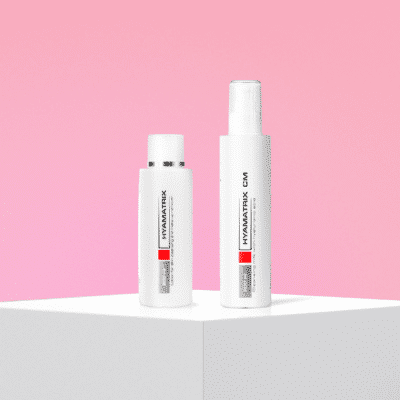 HYAMATRIX® Intensive Eye-Care Gel addresses the key signs of aging around the eye area like fine lines, wrinkles, edema, and sagging. With regular use, your skin will be firmer and smoother, giving your eyes a more energized, youthful appearance. 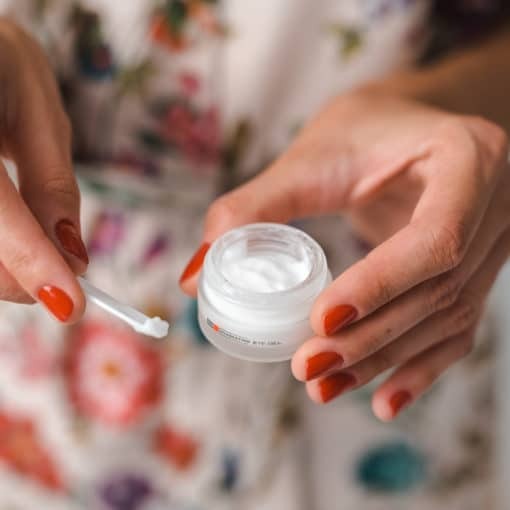 Plus, Intensive Eye-Care Gel protects against future aging with an impressive blend of antioxidants. The best part? Intensive Eye-Care Gel is incredibly gentle, which means it can be used on even the most sensitive or intolerant skin. If traditional eye gels and creams sting or inflame your eyes, our Intensive Eye-Care Gel is your solution for anti-aging results with no burning or irritation! Intensive Eye-Care Gel is also an effective treatment for those with itchiness or inflammation around their eyes, like eczema or allergies. 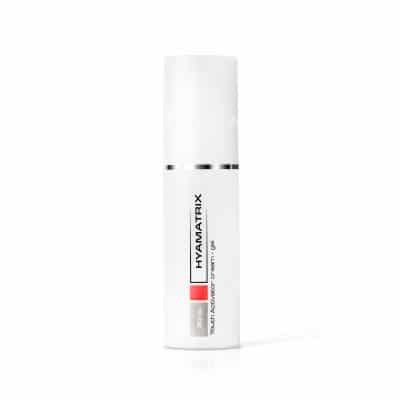 Actively hydrates the surface and deeper layers of skin to diminish the appearance of fine lines and wrinkles. 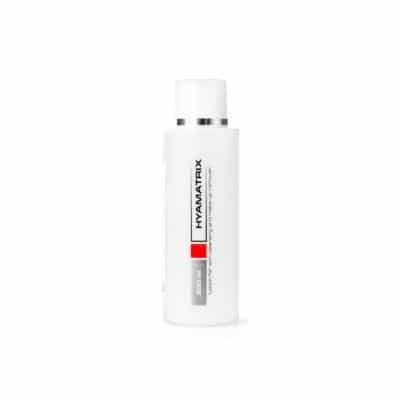 Stimulates the production of hyaluronic acid, so your skin is more able to maintain its hydration as it did in its youth. As we age, the structural tissue around our eyes begins to deteriorate, leading to sagging. 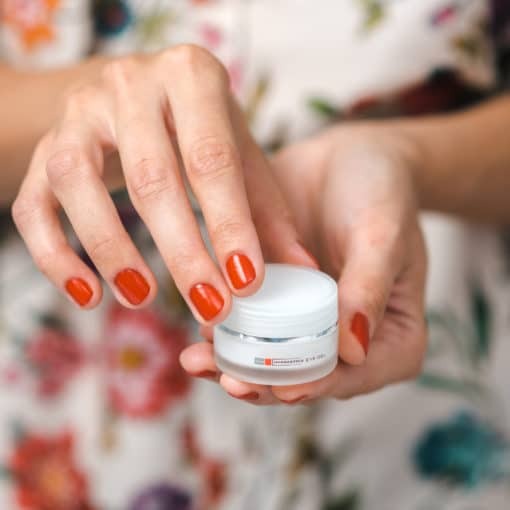 Intensive Eye-Care Gel strengthens this connective tissue structure by increasing the synthesis of collagen and elastin. As a result, Eye Gel tightens and smooths the skin of your eye area and eyelids. Visibly decreases edema and signs of fatigue around your eyes by improving microcirculation. Scoop out a very small amount of product on the provided spatula. Using the ring finger, gently tap product under the eye, around the orbital bone, and on the eyelids. 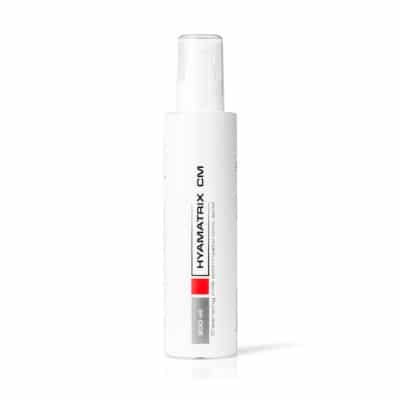 HYAMATRIX® Intensive Eye-Care Gel is formulated for use in the morning and evening. Because it absorbs quickly, it can be worn underneath makeup. This product can also be used above the lips to treat fine lines and wrinkles. 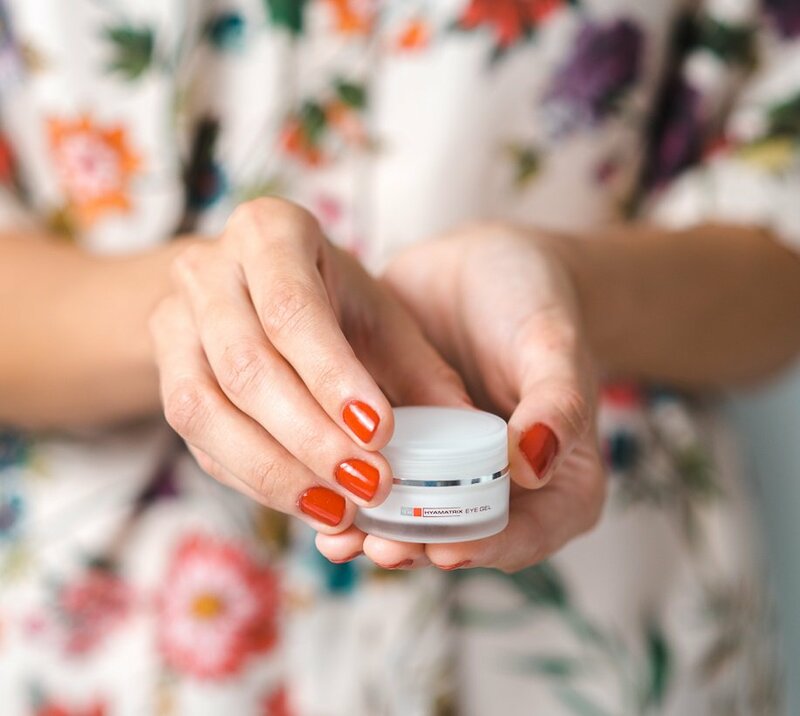 Because HYAMATRIX® Intensive Eye-Care Gel both prevents and treats signs of aging in the delicate eye area, we recommend it for all skin types. Despite its potency, HYAMATRIX® Intensive Eye-Care Gel does not irritate and can be used on even the most sensitive and intolerant skin. Low Molecular Weight Hyaluronic Acid & Matrix Peptide® Complex – Our unique ingredients work together to restore missing hydration in the skin. This form of hyaluronic acid has a very small molecule size, which means that it’s able to penetrate to skin’s deepest layers. Hydrolyzed Collagen – Introducing hydrolyzed collagen into your skin stimulates your skin’s own production of collagen. Collagen keeps our skin smooth and firm, but degrades with age. Thus Intensive Eye-Care Gel addresses signs of aging around the eyes at a cellular level to improve the look of your skin from within. 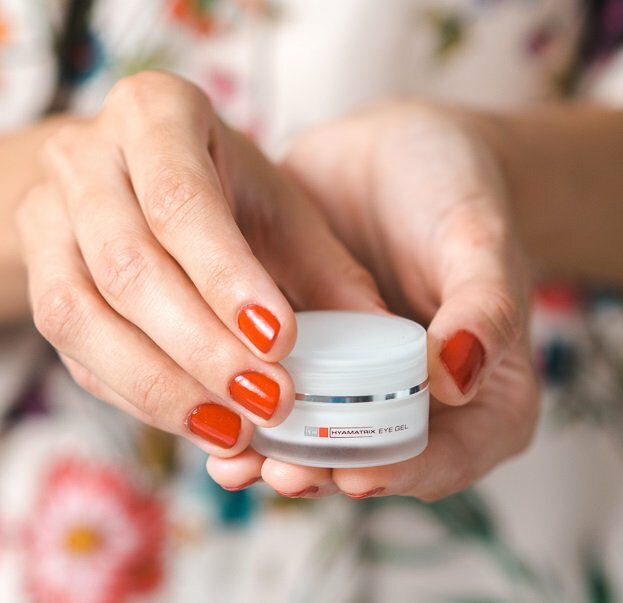 Vitamin A – This stabilized form of vitamin A delays the aging process by neutralizing free radicals and enhancing collagen production for smoother, firmer skin. Vitamin E – A potent antioxidant, vitamin E protects skin by counterbalancing the adverse effects of the environment. Bisabolol & Allantoin – Supports the penetration of ingredients and reduces inflammation around the eyes. Evening Primrose Oil & Jojoba Oil – The skin around the eyes lacks sebaceous glands, so we added these vitamin-rich oils to nourish your skin with essential fatty acids and add much-needed lipids. 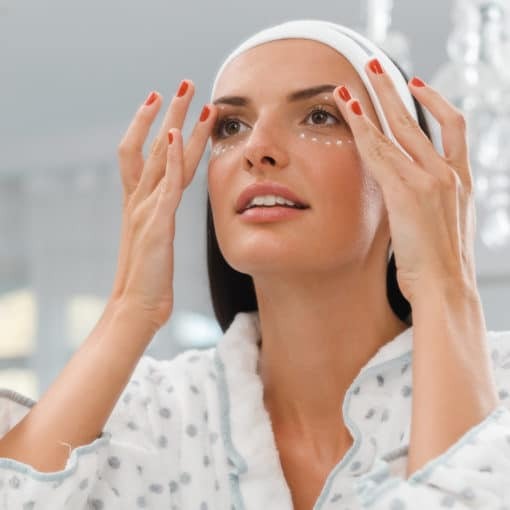 They also have anti-inflammatory properties that diminish under eye circles.